If you are a backyard pond professional, you are aware of how important your pump is to the total operation. If you are just building a pond for the first time, you'll realize quickly that its a key part of the total package. 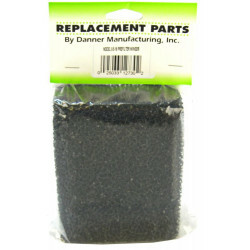 Getting the right pump for your pond is essential. And dont go with a cheap pump, your fish could be in jeopardy. 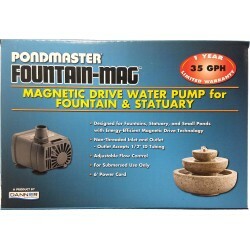 Essentially, pond pumps are used to help properly circulate water through your filter and pond. They keep your fish, healthy, happy and along with the food you feed them, give them the greatest potential for a long life. 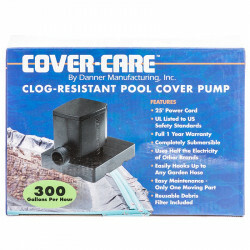 A Pond pump is a critical component of a healthy pond and should be used every day, around the clock. 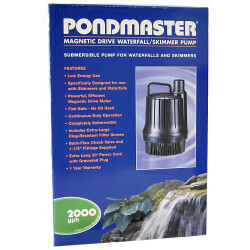 Pet Mountain has an extensive inventory of pond pumps to choose from. Our Pond selection includes a wide array of Pond Pumps from top pond manufacturers including Pondmaster Pumps and Tetra Pond Pumps. 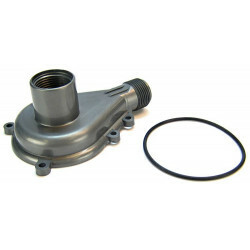 Pond pumps come in all types of different sizes to accommodate ponds and water gardens. Want to give your pond a unique design? Try adding a fountain or waterfall pump. Pond Filter Pumps ensure your pond will generate the correct amount of flow to ensure proper water quality and clarity within your pond. Whether you're looking to set up a peaceful, tranquil water garden or a beautiful, glistening backyard pond waterfall, we've got the perfect pump to get you up and running. 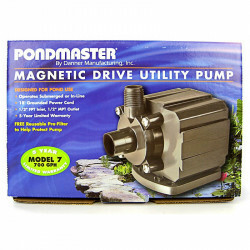 Take a look at our huge selection of pond water pumps, fountain pumps, pumps with magnetic drives, pumps for garden ponds and waterfall pumps. Discover all the specials and discounts. Cant find something? Let us know; well track it down. And dont miss our online coupons and discount shipping on all your favorite products.